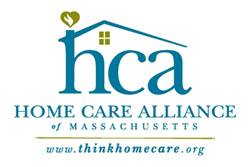 In 2004, Ansaphone was honored with the selection by the Home Care Alliance of Massachusetts as their preferred vendor for telephone answering service. Since then, our client roster has grown to include more than 30 member agencies, as well as agencies in Rhode Island, Connecticut, Texas and Missouri. The Home Care and Hospice industry continues to grow and change through population growth, agency mergers, addition of services, and increasing regulations; and the needs of each agency continue to evolve. Through our ongoing conversations with our clients, Ansaphone has developed individualized services and solutions to meet these changes, and we are now in a position to better understand the unique needs of the home health care and hospice industries. Please feel free to review our Home Health Worksheet. The time of day component has proved uniquely successful in solving a common industry challenge. Out sick calls and service cancelations are common call types that can occur at all hours. It is common knowledge and courtesy that an on call person can do little with these calls after 11pm. We successfully developed a solution that would automatically change the call out instructions based on Time of Day. A common instruction would be for these calls to be called out from 6am-11pm and held from 11pm-6am daily. This solution has been very well received and prevented on call persons from being woken up in the middle of the night with calls they cannot address until the morning. Please review our Ansaphone HIPAA Business Associate Agreement. The delivery of a detailed message to an on call person is no longer the end of our responsibilities. Our Home Care clients frequently request reports that are as simple as how many calls were received by day and by hour to a break out of calls by type.